Note to self: Make an appropriately educational playlist. Today was a milestone day. Lil’ Adventurer made it to step 6 of the Raceway in his Sing, Spell, Read and Write curriculum. We are now in the Short A book. I love this program, but sometimes I wish we could skip the part we are currently doing, which I could call “the cure for insomnia” it we did it at night. Since we do it in the morning, I simply call it “I really wish I drank coffee” hour. Yes, I have actually nodded off during the short vowel books. You can give me grief about this, but I suspect that every mother who has ever taught her young child the fundamentals of reading has suffered through dealt with the fact that young children generally read S…L…O….W….L….Y. We are reading thrillers like “Nat had ham. Al had jam.” I really look forward to the “ough’ book…you know, where we learn that thought and bought rhyme, but that through and enough don’t. Because English is a funky language, and even the natives have difficulty learning it. Lil’ Adventurer has already learned that short A makes a slightly different sound when paired with m and n. (Go ahead, try it. Very slowly, say “bat”. Now, say “ban” or “bam”…hear it?) He has also learned that some words are just naturally rule-breakers. They steal the sounds of other letters, like the word “has”, which sounds like “haz”. Yes, English is tricky. 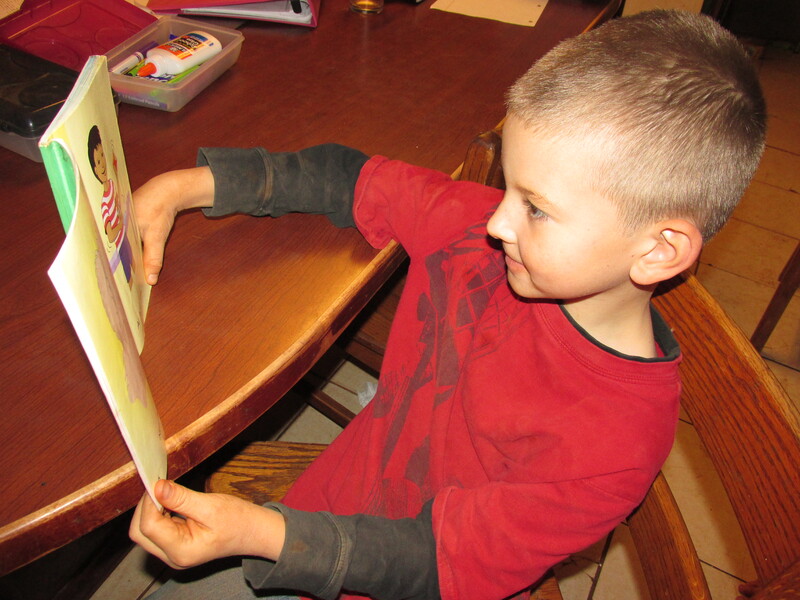 If I had not already taught four other children how to read, I might get discouraged when he gets frustrated. Experience has been a great solace. Curious George has been singing the phonics alphabet song. If I can get him through the letters, I may be able to subject myself to two daily doses of “I wish I drank coffee” hour. I am not sure if I am that brave. It may save me time later to have them both on the same level, but the thought of two hours of phonics every day is just a little daunting. I know my homeschooling friends can relate. And that is all for a happy Tuesday afternoon. Have a great week!